We are delighted to welcome three new citizens to the Most Serene Principality of Lorenzburg. Thank you for participating in the unfolding story of our Principality. Do you want to become a citizen of Lorenzburg? 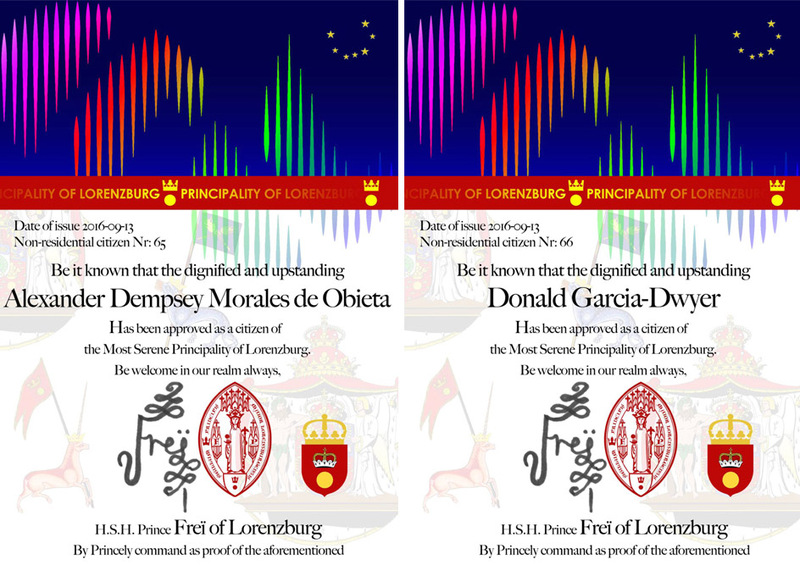 Previous Previous post: We welcome two new citizens to Lorenzburg!